Need to find a dependable and reputable commercial cleaning service in Barangaroo? Evolve Cleaning are the experts. With over two decades of experience in the cleaning industry, we are the professionals to contact. Evolve Cleaning offers exceptional commercial cleaning services in Barangaroo. Our uniformed cleaners have over 23 years of experience and skill. 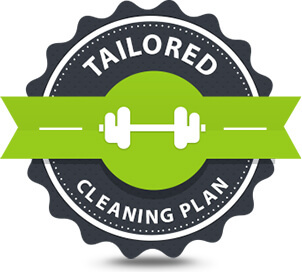 With Evolve Cleaning, we tailor our services to meet and target your specific cleaning needs. This is one of the many things that make us shine from other ordinary cleaning services in Barangaroo. We adopt the latest high-quality cleaning products to ensure that your place at Barangaroo looks, smells and is clean from all those nasty buildups of grime and bacteria. We believe that all spaces, businesses and projects should be conducted in a healthy and clean environment to show a high level of professionalism. Evolve cleaning is committed to providing your Barangaroo space with premium, cost-effective, reliable and honest cleaning services. Our flexibility to work around your business hours offers convenience as well as a refreshed office space in the morning. We’ll be able to clean, maintain and report everything to you to ensure a healthy level of communication and relationship. We are more than just a cleaning service. The International Towers Sydney displays a breathtaking collection of architecture along the harbourside in Barangaroo. A premium commercial space requires premium cleaning services such as Evolve Cleaning. With individual floor plates of up to 3,000 square metres, Evolve Cleaning has the capability and resources to provide a complete clean from head to toe. There is no doubt that the nightlife in Barangaroo is quite popular for clubs, pubs, restaurants and retail shops. Thousands of people flock to Barangaroo South to spend the night out with family, friends and loved ones. With this much foot traffic, you will need Evolve Cleaning to provide your retail shops, clubs, bars, offices, leisure and hotels with superior cleaning services. Why Choose Evolve Cleaning for Your Commercial Cleaning in Barangaroo? The team at Evolve Cleaning can help you completely eliminate germs from your commercial space. Our latest commercial cleaning methods have been proven to increase employee productivity and keep a hygienic workspace. Get in contact with us today and ask us about our commercial cleaning services in Barangaroo. We custom-tailor our cleaning services to specifically suit your needs. We have been in the business for over 23 years and have a team of hardworking and reliable cleaners who know how to restore any workplace, club or shop to look brand new again.